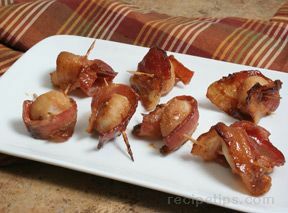 Wrap chestnuts with bacon and secure with a toothpick. 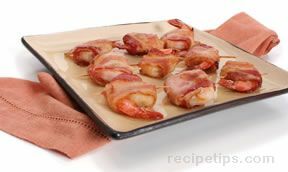 Cook at 375° for 45 minutes; drain. 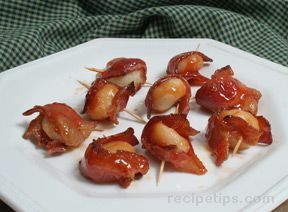 Pour sauce over drained water chestnuts and bake for an additional 15 minutes.